Ever felt you business needs a push? Do you feel that there is a lack of drive? To regain the momentum try the new buzz word for every business – Explainer Videos. An explainer video helps to connect with the audience and get your concept across to them in a simple yet effective manner. A well directed explainer video might be the best thing to generate and retain an audience. There are many types of explainer videos and all of them suit every business depending on the message and context. Choosing the right kind for your business depends on the idea you are trying to express, the budget, the target audience and platform. 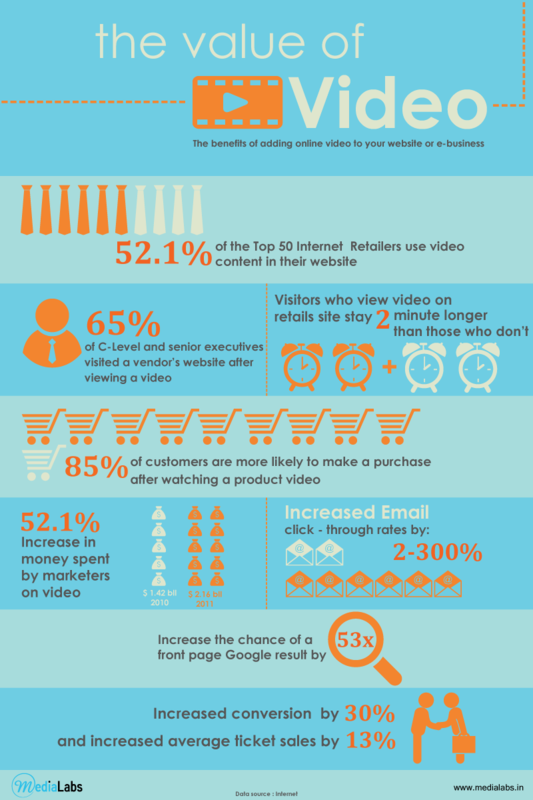 Experts believe that by 2018, 69% of customer internet traffic will be directed towards videos. That is millions of people around the world that you can connect with and create an identity for yourself. The use of explainer videos has tremendously increased in popularity over the past years due to their effectiveness in growing a business. Explainer videos have become a vital marketing tool and the trend is only growing. Some of the benefits would be a direct increase in conversion rates, simplistic explanation of your product, and boosting of the sales numbers. There are many types of explainer videos and each has the unique ability to make your business stand out. The important task is to choose the one that suits you best. The most commonly used types of Explainer videos are Live Action Videos, Animation Videos, Kinetic Typographic, Testimonials and Infographic Videos. Live Action videos are videos that use real people, requiring a crew, actors, editors and production process working with the storyboard. Technically these videos are extremely expensive; however, this can also be done on a small budget. It is useful when the company is interacting with its consumers to build trust, personal relationships or to convey a message as there are actual people in the message. Animation videos vary dependent on the kind of animation in use. Some types are 2D Animation, 3D Animation, 2.5D Animation and Whiteboard Animation. They all use drawing and frames to bring to life a story. 3D animation is much more realistic and creates an instant attraction for the client. The only drawback of 3D animation is the cost of the video which is extremely high. The best solution is 2.5D animation which has characteristics of both 2D and 3D animation and is highly engaging with the audience. Another animation widely used is Animated Screencast. It is a digital recording of a screen capture. This technique uses animated screencasts along with an audio narration. This is simple to create and cost effective for a start up. Most companies use this technique if they have a tutorial video. Whiteboard Animation is one the most popular type of explainer video technique. This style consists of drawing sequential images and text on a whiteboard with a good voice over. It is a very good technique, if you have a concept or a process to be explained. A very innovative technique used in explainer video is called stop-motion. This animation technique is done by photographing clay objects frame by frame and putting together to create an illusion of motion. The clay objects are moved incrementally between the photographed frames, joined together and played as a continuous sequence. This process is expensive, and quite tough. Each of the above explainer video techniques differs in their functionality and usefulness. Knowing your needs and understanding the functionalities of the above explainer video techniques can surely make you come up with an outstanding explainer video idea, which is important in creating and promoting business and building brand image and loyalty.